The Port of Gijón, Spain will host the docking of Royal Caribbean's Vision of the Seas tomorrow. This will be the first cruise of the season and will bring the city 2,435 passengers and 765 crew. The Royal Caribbean ship will dock at North Pier Extension area, from Vigo bound for Portland (United States). This is the same ship that opened last year the springs in the area of enlargement, reports the Port Authority of Gijón. This is the first of nine cruise ships expected this year will host the Port of Gijón, reinforcing the role that has been gaining in recent years in passenger traffic. News that Royal Caribbean plans on having Vision of the Seas stop at the Caribbean island of Martinique in the winter 2012-2013 have the island excited. Royal Caribbean is returning to the island after a hiatus of more than 3 years. The Martinique Tourism Authority is heralding the development as a major step forward in its efforts to grow the island’s tourism receipts from the U.S. market. Martinique boasts great shopping opportunities in the downtown portion of its capital Fort-de-France. Retailers promise the best of Parisian fashion, jewelry, porcelain, perfumes and other fine goods are here, and for U.S. travelers most of it is available at a 20% discount. Royal Caribbean indicated on Tuesday that it plans to expand its service in the Asia-Pacific region by introducing a 140,000 ton ship to its Asian routes in August. The new ship will offer cruies between Keelung and Shanghai as well as other destinations in Japan and South Korea. At Royal Caribbean's Taipei office, the cruise line said its desire to sail out of Keelung is a sign of the company's desire to establish itself in the Asian cruise market. In addition, Royal Caribbean is also considering making Keelung its home port in the Asia region. 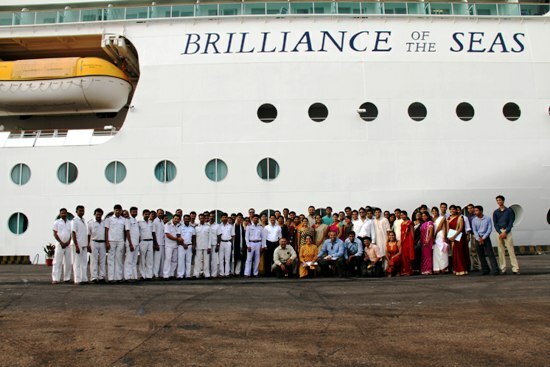 Royal Caribbean's Brilliance of the Seas arrived at New Mangalore, India today and is the first cruise vessel of 2012-13. S. Gopalakrishna, Traffic Manager of New Mangalore Port Trust (NMPT), said this is the largest cruise vessel ever handled at the port. 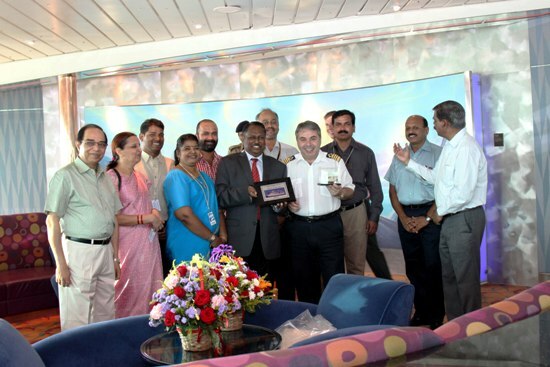 P. Tamilvanan, Chairman of NMPT, and the Traffic Manager, interacted with the Captain of the vessel. Dr Tamilvanan said that he got a good feedback on the world class facilities available at the cruise lounge, neat and tidy berth area, and immigration facility from the ship operators. Royal Caribbean presented a plan to Uruguay authorities of an exclusive terminal for their ships at the port of Montevideo, which would include a hotel and would involve a total investment of 40 million dollars. El Pais reports that the Administration National Port Authority (NPA) and the Ministry of Tourism are studying the tourism investment project presented by Royal Caribbean to define an area exclusively for the cruise ship docking at the port of Montevideo and to build a hotel on an adjoining block. Royal Caribbean looked at investing in Uruguay eight years ago when it considered building a cruise terminal in South America. After considering their options, Royal Caribbean opted to go to ports in Sao Paulo and Buenos Aires due to costs. The site of the proposed cruise terminal is an area currently used for shipping, the public moorings A and B of the port of Montevideo, which operates the ANP. Pacheco said that "initially build a lightweight terminal that also include the actual building of the Ministry of Tourism, which will have to relocate elsewhere, as suggested by the authorities," adding that Royal Caribbean would seek access to a block adjacent to the building the PA to build a hotel on four floors with 200 rooms. "The idea is to make a base port to embark and disembark passengers from different countries of the company," he said, adding that the shipping company also plans to build in that area a place to set up shopping malls and cultural centers. Similarly, although not official, Royal Caribbean would be interested in a larger project in Punta del Este . 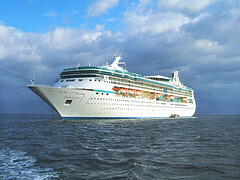 Royal Caribbean unveiled its summer 2013 cruise itineraries for Alaska to the public. The soon-to-be revitalized Rhapsody of the Seas will be one of Royal Caribbean's ships offering trips to Alaska for that season along with Radiance of the Seas, which was also revitalized in 2011. 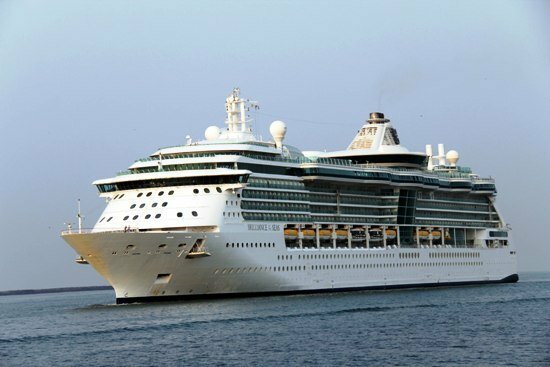 From May 17 through Aug. 30, 2013, Radiance of the Seas will offer alternate seven night north and southbound cruises between Vancouver, Canada and Seward, Alaska. laskan ports of call include Ketchikan, Icy Strait Point, Juneau and Skagway. Additionally, guests will cruise the Inside Passage as well as get an up-close view of Hubbard Glacier. 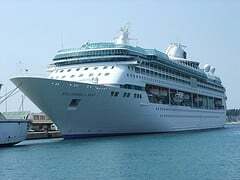 Rhapsody of the Seas also will sail every Friday on seven-night, round-trip Alaska cruises from Seattle, stopping at Juneau and Skagway, Alaska, and Victoria, British Columbia. Passengers will also visit through Alaska’s Inside Passage, as well as venture up Tracy Arm Fjord to see Sawyer Glacier. 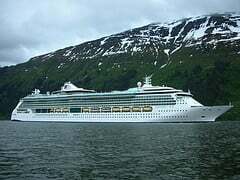 In addition to just cruises, Royal Caribbean Alaska Cruisetours combine a Radiance of the Seas’ sailing with a pre- or post-cruise land tour that totals to a 10- to 13-night land and sea adventure that ranges as far north as Fairbanks. For the land tour portion, guests are escorted by a Royal Caribbean Tour Director. Royal Caribbean Cruisetours include premium hotel accommodations, motorcoach transportation and admission into select attractions. Almost all 2013 Alaska Cruisetours also include a leg aboard the Wilderness Express. A business consortium, with Royal Caribbean a minority partner, has won the rights for a new cruise terminal in Hong Kong to build a $1.046 billion facility at Kai Tak. The 10-year contract was determined by a bidding process and will have the new terminal built by mid-2013 at the site of the former Kai Tak airport. The terminal will be built to accommodate the super cruise liners of today, with an apron area of 850 x 35 meters, water depth of 12-13 meters, and no air draft restriction. Such a size can easily allow for a ship like Oasis of the Seas to dock there. The Cruise Terminal at Kai Tak has been designed by Foster + Partners. The new terminal has immigration and customs facilities with design capacity to expeditiously process 3000 passengers per hour. 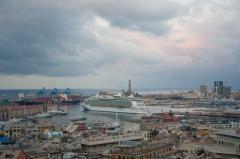 Royal Caribbean is getting ready to kick off the summer season in Italy. Among these there are two Voyager Class ships including Navigator of the Seas and Mariner of the Seas. Navigator of the Seas will offer cruises of 7 nights between May and October from Civitavecchia and the new home port of Messina. Mariner of the Seas will offer cruises from June to September, with a new route of 7 nights in the Western Mediterranean from Genoa and Civitavecchia, from May to October, 12-night cruises to the Holy Land from Civitavecchia. Another novelty of the season will be cruises of 6, 7 and 8 nights from Venice and the new home of the re-port of Bari with Spendour of the Seas, which completed a dry-dock refit in November 2011, and is ready to return to Italy with some of the most exclusive of the upgrades including more technology, more rooms with balcony, new restaurants and entertainment options. The Ukrainian government intends to transfer access to the ports of Sevastopol and Yalta to Royal Caribbean in an agreement that was reached. This was announced today at a press conference bythe first deputy chairman of the city administration Sergey Savenko. According to Savenko, "This company is willing to invest 250 million dollars in the infrastructure to handle the large cruise liners, in the construction of hotels, restaurants, in the reconstruction of quay walls, such as passenger ships require long piers not less than 300 meters." Sergey Savenkov also noted that "we consider the more expensive option of building a new wharf at Cape Crystal." In the meantime, he says, "the main task for us - removal of the base repair of ships from the South Bay away from the center, most likely in the area of ​​Inkerman, and a marina prepare for the reception worthy of yachts and ships." As the head of the Sevastopol Sea Trade Port Sergei Tarakanov, "now active negotiations with the investor and the only obstacle to the imperfection of the Ukrainian legislation." "The government is preparing a decree according to which the Yalta and Sevastopol port may be conceded," - said Tarakanov. According to him, "in the next six months, the issue is resolved. I'm sure - this is one of the good lines, just because no one will give money. Investor needs to know what to pay." Administration of the seaport of Sevastopol is also considering converting to receive large cruise ships dock, however that is currently on loan at the Russian Black Sea Fleet.